The creative force behind Philadelphia's Modo Mio, Monsu and Paesano's is at it again. Gluten-free-friendly chef Peter McAndrews has just opened Popolino (501 Fairmount Ave., 215-928-0106), a Roman trattoria in Northern Liberties featuring a lavish antipasti bar. As noted on the menu, accommodations can be made for gluten-free diners. McAndrews, whose children are celiacs, raved about Toté Bakery's gluten-free bread to the Philadelphia Inquirer, which featured the bakery in the Food section of yesterday's edition. If all goes well today during inspections, Jules Thin Crust - with its fabulous gluten-free pizza - will open its Wayne location (114 E. Lancaster Ave.) for business tomorrow at 4 p.m.
Goodies from Pure Sweets, featured here a few weeks ago, are now available at Ultimo Coffee (1900 S. 15th St., 215-339-5177) in South Philadelphia and Northern Liberties' One Shot Coffee (217 W. George St., 215-627-1620). The all-gluten-free Little Bakery in Blue Bell (921 Penllyn-Blue Bell Pike, 267-708-0984) now sells bake-eat-home chocolate chip cookie dough and brownie dough by the pound. Last weekend, many companies announced new gluten-free products at the Natural Products Expo West in Anaheim, California. 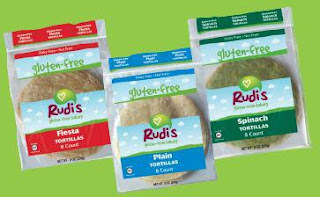 Udi's Gluten Free Foods is launching classic French and whole-grain seeded dinner rolls and vanilla cupcakes that will debut in July. The company's previously announced frozen pizzas and muffin tops are on the way to stores now. Rudi’s Gluten-Free Bakery's new gluten-free tortillas are made with whole grain flours and have a soft, pliable texture. The tortillas, which will retail for $5.99 a package, are available in plain, spinach and fiesta flavors. The Pop-Tart-like gluten-free toaster pastries from Eco-Planet should be in stores by May, reports Jennifer H., who writes a gluten-free blog out of Georgia and who attended the Expo. Eco-Planet will also have a new line of gluten-free granola bars and bites, says Jennifer. Jennifer also provided some other info via her Twitter feed. Hain Celestial's Gluten Free Cafe line of soups has three new additions: Chicken Orzo, Beef Noodle and Vegetable Quinoa. In September Van's Natural Foods is relaunching a version of gluten-free pancakes, which will also be dairy and egg free. The Celiac Center at Paoli Hospital is sponsoring a seminar on the neurologic manifestations of celiac disease on Wednesday, March 28 at 6:30 p.m. The event will take place at Paoli Hospital's Potter Room (255 W. Lancaster Ave.) Call 1-866-CALL-MLH to register. "Nourished Together" is a four-session nutrition and cooking course being held next month in University City. The course fee of $180 is inclusive of all instruction, ingredients, course materials and dinner. You can save $36 (20%) through Tuesday, March 20 by mentioning that you read about the course at Gluten Free Philly. Call 215-872-5521 for registration. The Flavor Festival at Phoenixville will take place on Saturday, April 21 from noon to 5 p.m. at Franklin Commons (400 Franklin Ave.). 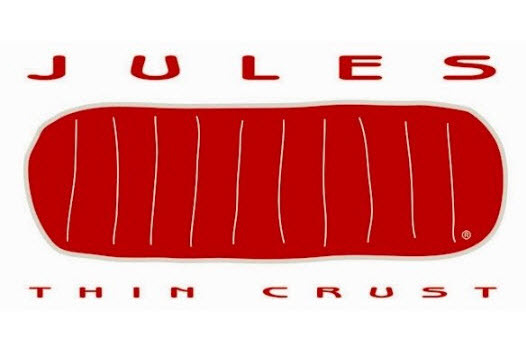 Most of the wineries at this food-and-drink event will have gluten-free crackers and local gluten-free-friendly vendors such as Cupcake Wars victor Dia Doce, Mompops, FreshaPeel Hummus and Chile Spot will be participating. Tickets are $35 in advance and $40 at the gate. My "Dining Out Philly" giveaway celebrating the blog's 3rd birthday runs through Sunday. (I very much appreciate all the birthday notes received this week!) Food For All in Mt. Airy has generously offered a $30 gift certificate as one of the prizes, so there will be seven winners in all. Other prizes are from Zavino, The Tomato Bistro, Pure Tacos, THE QUICK FIXX, Sweet Freedom Bakery and Toté.